The following is a list of steps to follow when preparing to participate in an auction. 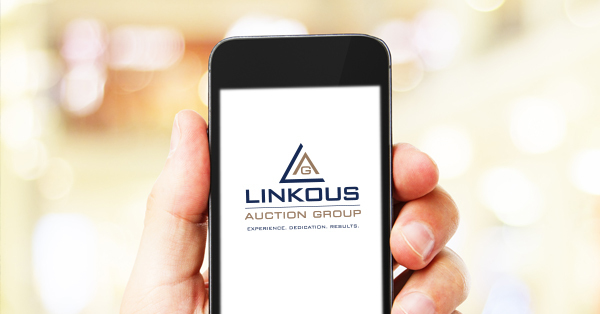 We hope these are helpful tips that make your attendance and participation in a Linkous Auction Group auction successful and easy. Do your "Homework" … find out as much as you can. We will be happy to give you photos, terms of the sale, sample Purchase & Sale Agreement, property taxes & assessments, maps, plans, and many other pertinent documents. Inspect the property. Take full advantage of any Open Houses hosted by Linkous Auction Group. Remember, at auction, you are buying "as is". Attendance at an "open house" inspection will allow you or your representative to see first-hand what you are bidding on and help determine value and desirability. This will help you to bid with confidence. Prequalify yourself for financing. There is rarely a mortgage contingency in a real estate auction. Increase your comfort level by knowing your mortgage financing qualifications. Even before you decide on a property to buy, you can pre qualify yourself with a lender. It is best to know what you can afford to pay for the property before the auction, so you will be able to bid with confidence! Join our mailing list for auctions in your area. Attend and observe one or more auctions and familiarize yourself with the process before you attend an auction as a bidder. Auction companies differ in the amount of "due diligence" information they provide and how they conduct an auction. The auction process happens quickly so when you decide to buy, it’s important to know what to expect. If you have questions about what you saw, email or call us. Determine your bid limit after examination of the property and all available information. Plan to compete. Most bidders will be thinking in the same price range. On auction day, it is to your advantage to arrive one hour before the auction. By doing so, you will have more time to consult with on-site staff who are prepared to assist you with your last minute questions regarding the property and the auction process. All you need to register is a photo ID. Write out your questions. Before the auction is your opportunity to ask any last minute questions. You should come to the auction prepared to ask your questions. Our job is to raise comfort levels of all bidders with the auction process, the property we are selling, and the auction company. Until the "hammer falls" or you have reached your limit you should compete aggressively. There can be only one winning bidder for the property. You cannot buy at your price unless you BID your price. Can't make it to one of our live auction? or ready to bid online? Click here to view catolog and bid anytime from anywhere 24/7!